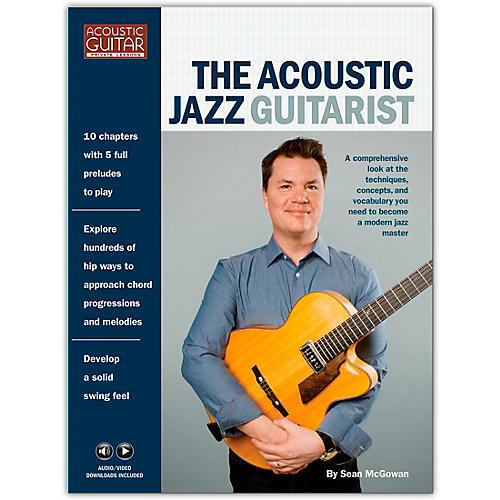 Delve deep into the world of jazz guitar with this book of 10 extended lessons from master guitarist Sean McGowan. You'll learn vocabulary for soloing over essential jazz forms like the 12-bar blues and rhythm changes, as well as virtually any chord progression you encounter. You'll acquire a broad palette of chord voicings, along with the rhythmic ideas for smart comping. And you'll absorb techniques for playing everything cleanly and efficiently - not just for jazz but any style. Lessons include audio downloads and videos, as well as standard notation and tablature, for all examples.